When renovating or building multiple trades will be involved and timing when sanding and coating floors must be organised to suit this other work. Work which must be completed before commencing sanding and coating are wiring, plumbing, glazing, carpentry and plastering. As mentioned before silicone (or products with a silicone base) will cause rejection of the floor coating if contact is made after sanding and before application of the three coats. Footwear can be one way silicone is transferred and is used by both glaziers and plumbers. Preparation and application of paint up to the final coat is recommended on skirting boards, and the final coat applied after the flooring has been completed. 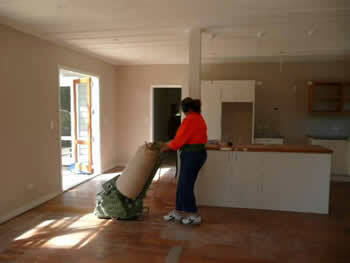 Lay carpets on completion of the floor coating application system. Our quote will only cover the application of the floor coatings - all furniture and floor coverings (including carpet tacks, staples, etc.) must be removed and are not covered by the quote unless specifically requested. Appliances - electrical or gas - must be disconnected and removed by qualified tradesmen. Pilot lights are to be turned off, this includes the one for the hot water system. For our tradesmen to be able to do the best job sufficient power and lighting must be available. Safe and clear access to the work area must be arranged. As fumes and unusable floor areas are an inevitable problem with this process we would suggest finding other accommodation for the duration of the work if possible, unless it will not be inconvenient to have the room off limits. Any areas which can allow dust into the room to be treated should be sealed off i.e. vents and fireplaces. This can easily be done using masking paper and tape. Light fittings should be covered to avoid sanding dust coating them. Remove curtains, fold and place in garbage bags and seal. Any items which cannot be removed from the room to be treated should be covered with plastic, old sheets or paper and secured with masking tape. If your floors are being coated by a professional what can you expect? It takes skill and experience to sand and coat a timber floor to bring out the beauty of it. The process carried out by the tradesman uses machines and applicators which are controlled by people and the floor will show evidence of this. Once you have 'lived' on the floor for a while the feel and character will become uniquely your own which is part of the charisma of this type of floor. 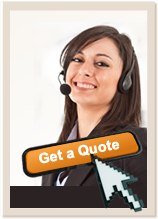 When quoting for the work the processes etc. will be explained and questions answered. The quote will be comprehensive and detail the work to be undertaken. Sanding and coating will be carried out by experts. Gaps and holes i.e. knot and nail holes and board gaps will have appropriate fillers applied. Some maintenance is required (see pamphlet) but is minimal compared to the years of pleasure the beauty of the floor will provide.